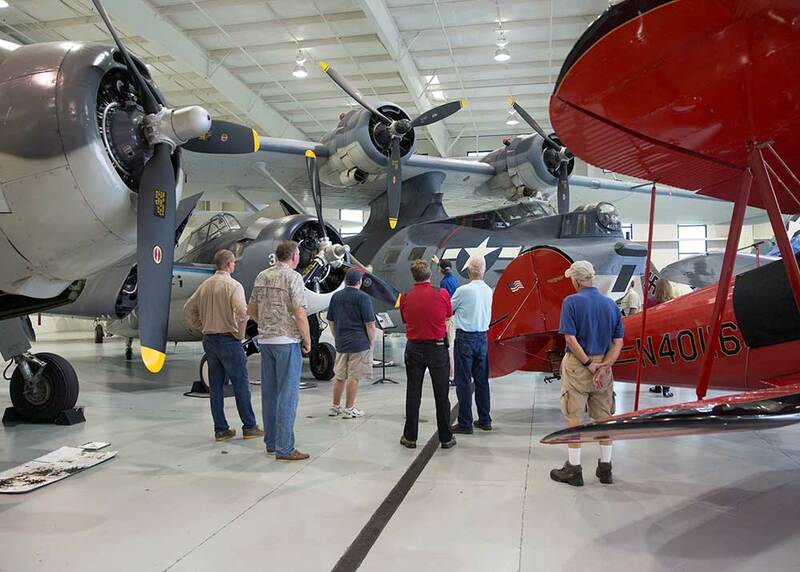 Flanking the main museum building on the east side is the Navy Hangar. 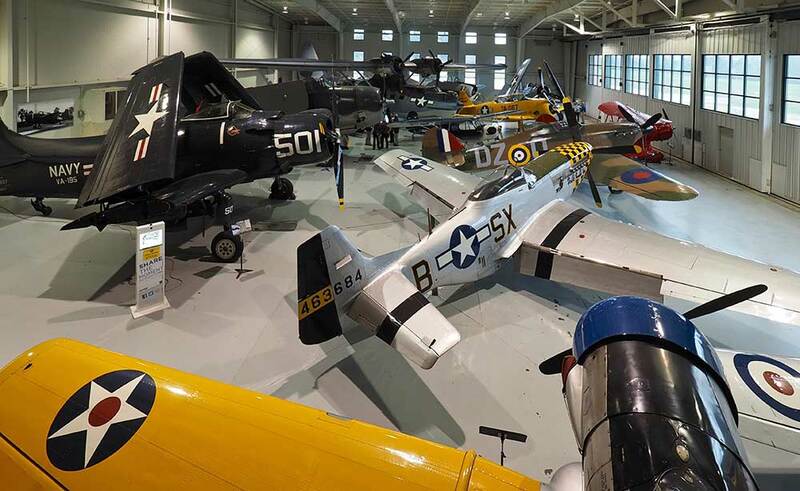 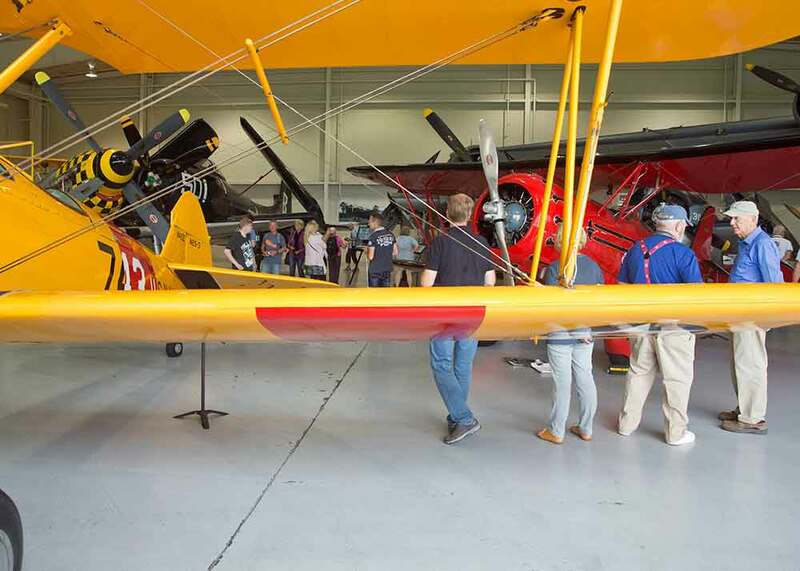 This 15,000 square foot hangar is home to many of the museum’s US Navy aircraft. 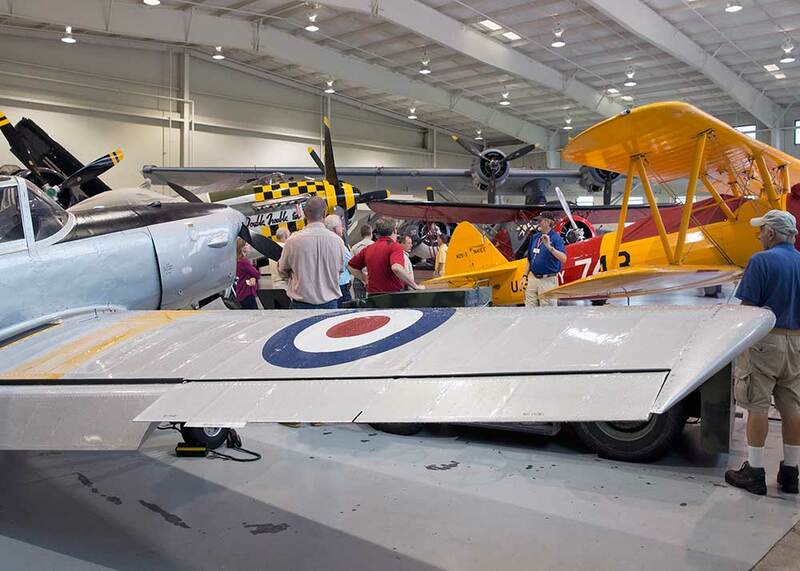 You will usually find planes like the PBY Catalina, Corsair, Skyraider and TBM Avenger tucked inside along with the unique DeHavilland Dragon Rapide and the N3N Canary. 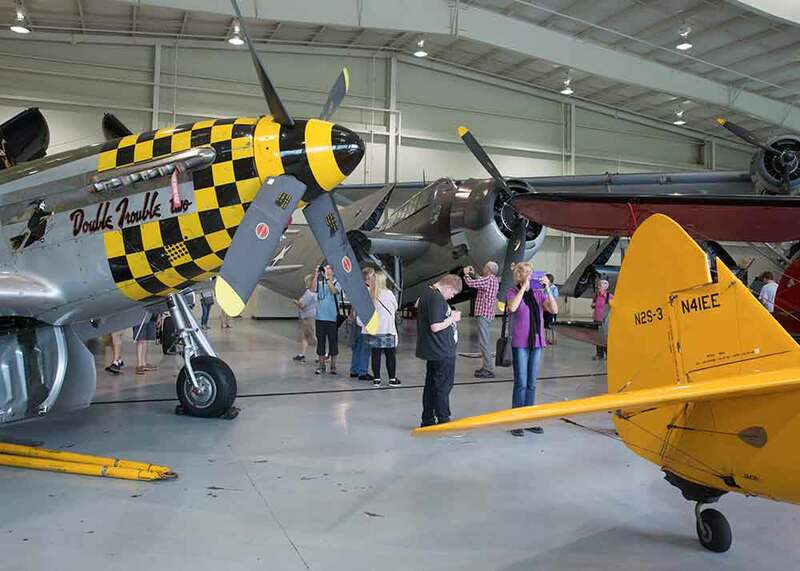 The Navy Hangar is a wonderful space to rent for military retirement ceremonies, wedding receptions, and other private functions. 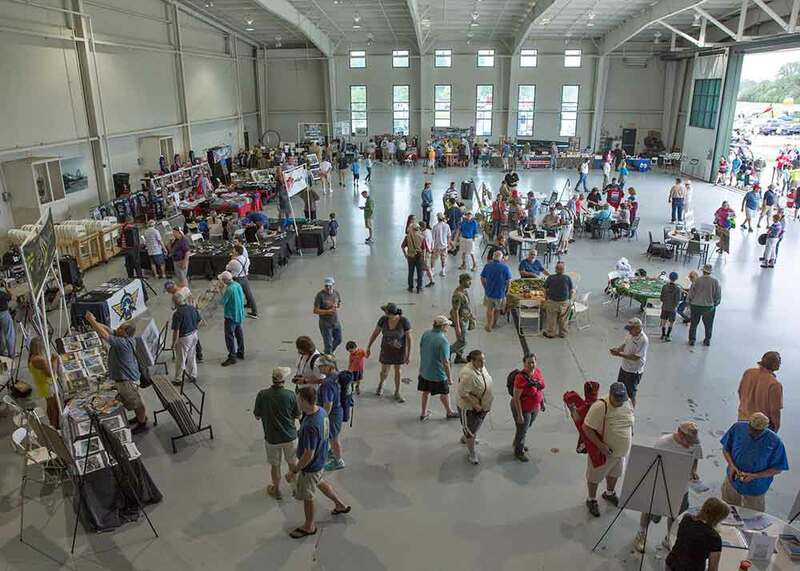 It is also the site of our annual Valentine’s Day 1940s Hangar Dance and the hangar dances during the World War One and World War Two air shows.